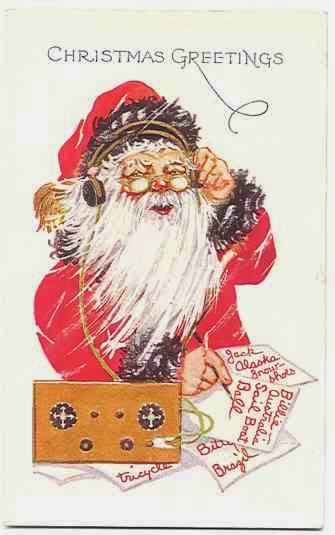 The January All Ham Dinner will be sponsored by Edmond Amateur Radio Society on January 16 at 6 p.m.at the Golden Corral 5702 NW Expressway. All Central Oklahoma hams are invited, whether members of a club or not. Short program will be presented. Centennial Conventions in 2014 and I hope that you will plan to attend and support all of these events. W100AW/5. Look for more details in future newsletters, but plan now to be in Plano in June. Christmas and safe Holiday Season! Congratulations to all for a successful event! range from $500 to $5000. closes promptly on February 1, 2014. Awards are usually announced to the winners by letter in mid-May. requirements as to course of study. scholarship program please visit their website at http://www.arrl.org/the-arrl-foundation. The ARRL celebrates its centennial in 2014.
president, for example, earns 300 points! not a contest, participants may make contacts in any fashion they prefer. bonus points. Logs submitted via Logbook of the World (LoTW) will be scored automatically. For full information, visit the ARRL Centennial QSO Party webpage. Special Event Station call, W100AW, on Sunday, January 19, 2014 beginning at 9:00 AM until 2:00PM CST. If you ever wanted to make a contact with W1AW, now is your chance! QSL 100%. specific times in hopes that the propagation will permit contact with those who have pre-registered. will be confirmed for contact information to insure residency. support of the wireless industry,” the club’s website states. pioneer Fred M. Link, ex-W2ALU (SK). Amateur Service rules and regulations. to convert to regulation of emissions by bandwidth," and would not affect any emissions other than data. of-the-art protocols that fall within the authorized bandwidth." •affect HF sub-bands where phone and image emissions are now permitted nor affect HF CW operation. •permit digital voice transmissions in data and RTTY subbands nor add rules affecting digital voice. •change restrictions on automatically controlled digital stations. •permit data emissions to use occupied bandwidths in excess of what is now allowed. Further, the petition does not call on the FCC to expand the frequencies on which "unspecified digital codes"
digital codes at HF," the League said. limit is eliminated, as it should be." Reply comments – ie, comments on filed comments – on the ARRL's petition are due by January 7, 2014. Hardly anyone does not have a personal computer in their shack. Running Windows, Linux, or Macintosh operating systems, the programs installed are either bought, freeware, or shareware. What shareware do you use in your amateur radio hobby? How are you participating in #SRD2013? Thank you all the Radio Amateur volunteer storm spotters. Does your club have a Public Information Officer that can help? IF you have the ability to help Sean, please do so. ARES/Public Service photos for an upcoming QST article. well-composed, compelling and tell a story. The photos should be over 700k in size. the minor must be included before we will consider using the photo. yet to be invented, without payment or any other consideration. B&H Enterprises: www.hamradiocenter.biz Radio Shack Derby, KS Largest dealer of new and used Ham equipment in the Kansas Oklahoma area. They stock Larson, ADG, MFJ, Comet Alpha Delta and Antron products to name a few. Wireman: Tons of coax, connectors, wire and anything you need to connect almost anything to anything. I believe they even carry adapter adapters! D & L Antenna: Kansas City, Ks World radio users and general public you will find Radio equipment/Accessories/unique high tech items including items for emergency preparedness. Antennas, BNC Shop, Coax Cable and Wire Products Connectors, Equipment Accessories, Equipment Adapters and Kits, Equipment Power, Ham Radio Accessories, Ham Radios and Equipment, Jetstream Antennas, LED Lights, Radios, SMA Shop and Surplus parts and equipment. They have it all! 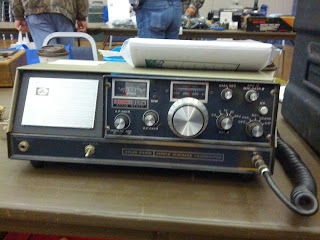 Main Trading Company: www.mtcradio.com Paris TX; Full line of Ham radio equipment, MTC has all the brands you want! They sell Kenwood , Icom and Alinco as well as Wouxun! They are also the number one dealer in the State of Texas! The Prices, and Service can not be beat.. Power supplies Antenna Tuners, Meters & Test equipment, Alternative Energy, Kits, Pro Audio & RT SYtems Programming Software. Please let me know if you havae any questions. 2013 ENID HAMFEST Saturday, November 2nd 8 a.m. to 3:30 p.m.
•PRIZES: • Yaesu FT-8800R Amateur VHF/UHF transceiver • Three dual band VHF/UHF handheld transceivers • Vendor certificates, merchandise • ARRL items. 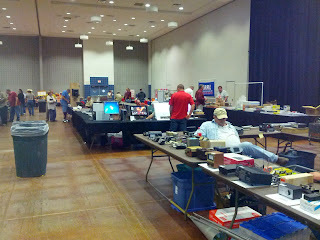 • AND MORE: Numerous vendor certificates ($40, $20, and $10), merchandise and ARRL books and certificates. LICENSING EXAMS • W5YI VE testing at 1:00 p.m. All license grades. $14 fee for each exam. Bring two forms of identification and, if testing for upgrade, bring a copy of your current license. FREE FOOD • Donuts and hot beverages, 8 to 10:00 a.m. (Diabetic alternatives available) • Hot dogs and beans, condiments, beverages, 11:30 a.m. to 1 p.m.
TICKETS • Admission $2.00 per person. (Age 12 and under free if accompanied by adult.) Admission includes one drawing ticket. Extra tickets $1 each, or $5 for pack of seven. TABLES • $3.00 each. Request tables via www.enidarc.org (or by mail before Oct.27th to EARC, PO BOX 261, ENID OK 73702). Pre- reserved tables not claimed by 9 a.m. will go to others in order of request. FOR VENDORS: Building will be open for set-up 6:30 - 8 p.m. Fri., and 6:30 - 8 a.m. Sat. An ARRL-approved event, hosted by The Enid Amateur Radio Club.